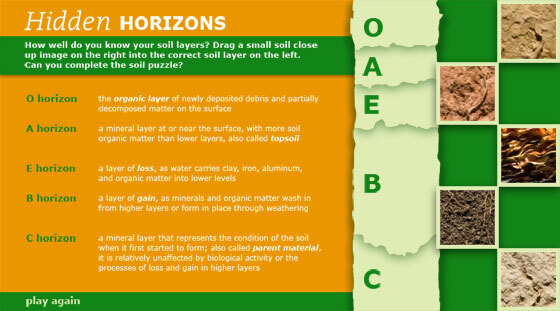 6 Where in the Soil World Are You? Can you piece together the horizons that are right under your feet? Click here to give it a try!